If any professional out there would understand the benefits of an appointment reminder service the most, it would be lawyers and or attorneys. Whether you do litigation or if you're a transactional attorney, your number one asset is your time. You are essentially selling your professional services on a time-based system. 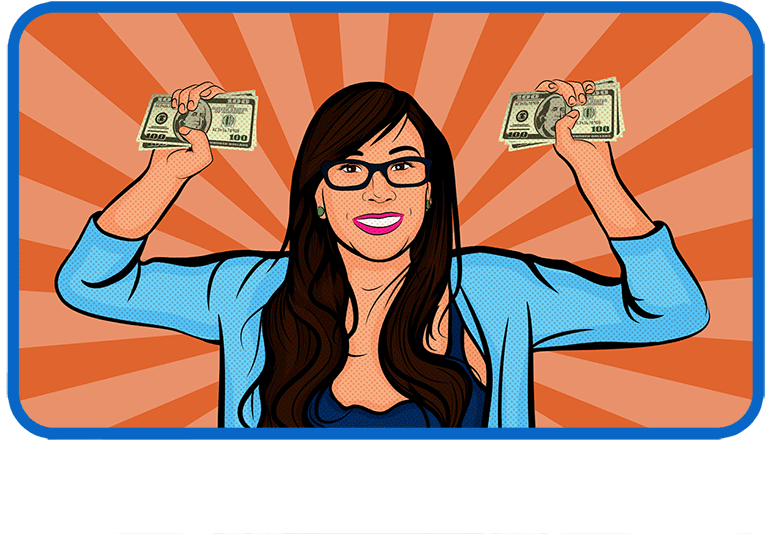 So when a client books an appointment and no-call no-shows, you lose money. Put simply, for every second you invest in a money losing or less than optimal matter, you are not devoting your time to something that would produce a better ROI. You only get a fixed amount of time each day and when someone wastes it by not showing up, it cannot be recovered. This is why it is a great idea to invest in sms appointment reminders for lawyers. Sending your clients a simple sms text message, phone call, or email 24 hours before their appointment can remind them of their upcoming scheduled meeting with you. If they can't make the meeting and decide to cancel, you then have 24 hours to recover that time slot and fill it with another paying client. If you are in a firm, using law firm appointment reminders can maximize your billable hours while optimizing your staff's overall output. 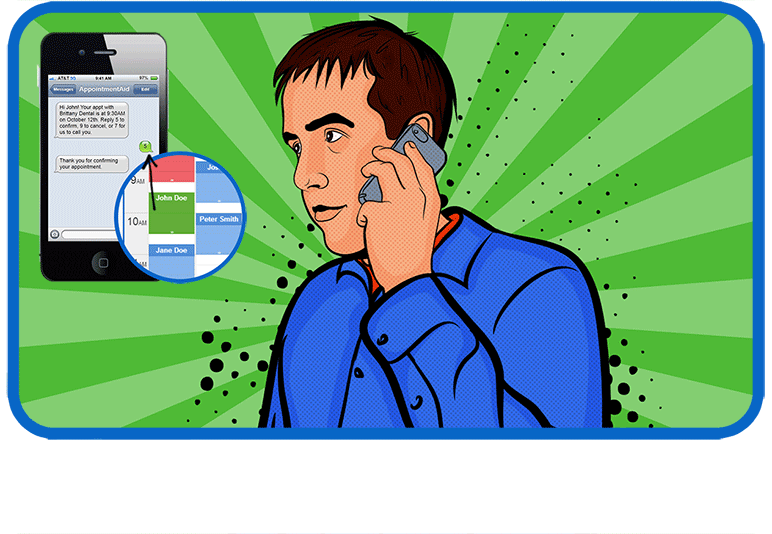 You don't need to pay a secretary to manually make tedious appointment reminder phone calls. With Appointment Aid you can automate the entire process from start to finish. The most productive law offices out there have a powerful appointment confirmation service backing them up. Confirming client appointments is one of the easiest ways to save potentially lost revenue before it happens. With Appointment Aid, scheduling appointment reminders is easy. Just login to your account, open up the month/week/day calendar and click on a time slot. Fill out the clients contact details or use their preset info and hit "okay". You've now scheduled an appointment with reminders based on that client's preferences. No more work necessary on your end. If you want a more personal touch to your reminder system, then try recording your own custom voice reminder for your client appointments. You can do this easily through the settings of our system. 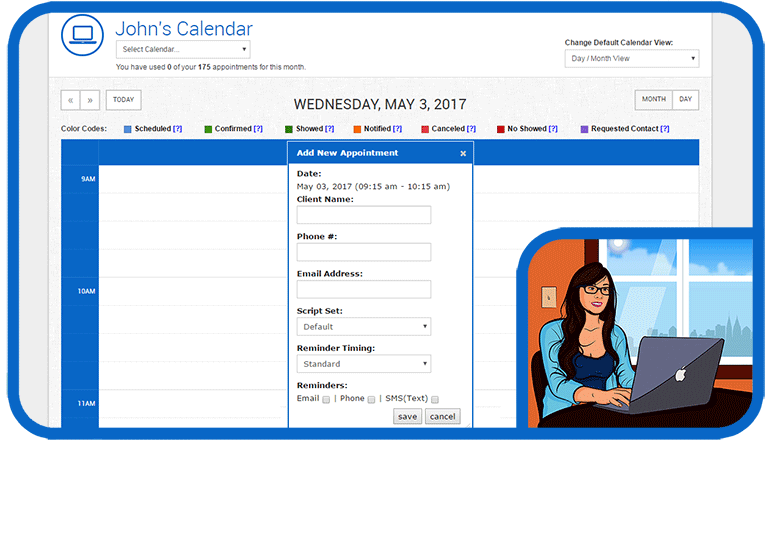 Appointment Aid allows you to automatically remind your clients of their appointments. With our easy to use web interface you can schedule automated phone reminders, text message reminders (SMS), and/or email reminders using a reminder script that can be customized by you. There is no hardware and no setup fees, all you need is internet access! Appointment Aid also has a very high level of support. If you contact us at our support email, we usually respond within hours of receiving your request. Try our system free for 30 days. If it doesn't save you lost revenue, cancel and never get charged. Basically, if we don't make you money, we don't want yours.